Born in 1885 in Wakayama City and was named Ryutaro. nated by the classic Japanese picture scroll, Heiji Monogatari. style painter. He was awarded a Culture Medal in 1959. 1942 Born in Aichi Prefecture. and was active in the Seiryusha Group. Tatsuo. 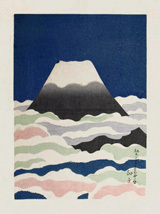 His work was accepted and exhibited at Nitten Exhibition. 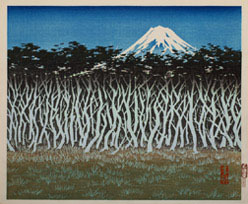 1974, 1976 Awarded the Special Prize at the Nitten Exhibitions. 1981 Ellected a member of the Judging Commity of Nitten Institute. .about 10 years, surrounding Onchi, made efforts to sustain this precious circle. 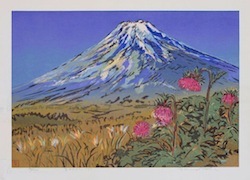 .His two books, 'The Founders of Hanga' and 'The Memorable Print Artists' are. 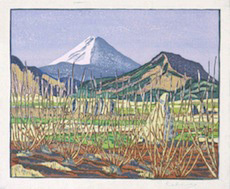 .both very valuable documents of sosaku-hanga. 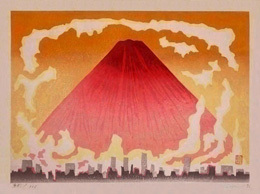 also a member of Japan Print Association and Kokuga-kai Association. Born in Tokyo. Kawada graduated from Bunka-gakuin Art School. 1920 Born in Enoshima, Kanagawa Prefecture. and was fascinated by his works and his spirit. 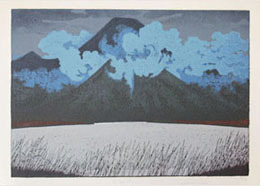 1962 He started making prints. became member of the Hanga Association. as a Fulbright exchange professor. 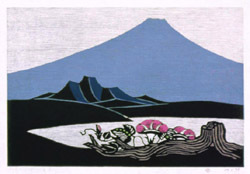 2007 He passed away on April 22 at the age of 89.
from primary school, he moved to Tokyo and learned woodblock print-making. 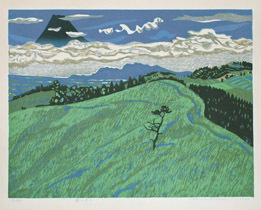 he traveled around Europe and the US and published many prints depicting scenic beauty. 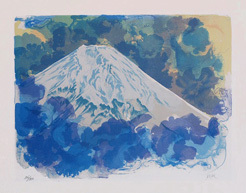 soon resumed his career as a Nihonga artist. 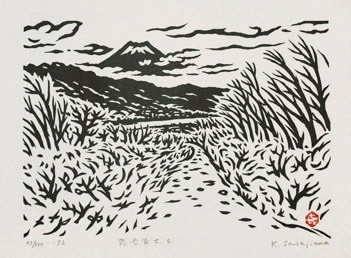 to printmaking together with Tokuriki Tomikichiro, Asada Benji and Nakagawa Isaku. 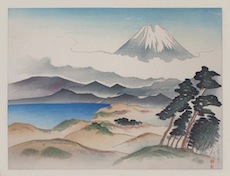 he advocated Jiyu Hanga (literally Free Will Print). 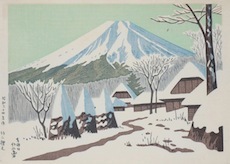 project team making reprints of traditional woodblock prints. 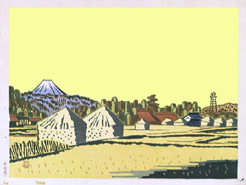 first exhibited in the 3rd Exhibition of the Sosaku-hanga Association. Sagamiko-cho, Kanagawa Pref., where he died, shows that his birth year was 1893. Maeda Masao made of him is shown in 'Han News No.6 ' featuring Maeda Masao. 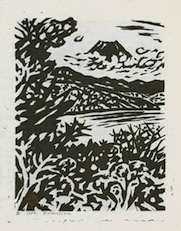 Other works by Sasajima Kihei.